Ideas for this sandwich kept popping up in my newsfeed all week, so I thought I would make my own rendition of this delicious recipe that Ree Drummond (The Pioneer Woman) calls The Marlboro Man Sandwich. It’s a fabulous-looking steak sandwich that isn’t anywhere near as expensive as it *could* be, since it uses cube steak as the main ingredient. While I would highly recommend checking out the original recipe on The Pioneer Woman site – she’s very entertaining and, IMHO, the sort of personality to which *I* would strive as a cooking show host – this is my own version that recipe but includes WINE (of course) . I started by melting a tablespoon of butter in a saute pan and then browned an entire sliced onion until it was soft. I added a bit of red wine to brown with the onion to give it a bit more flavor, then removed it from the pan once the wine was absorbed. Once the onions were cooked and the pan was empty, I added the second tablespoon of butter to melt in the pan. While it melted, I sliced the meat across the grain and seasoned it with salt and pepper. When the butter was hot, I placed the strips of steak in the pan and allowed them to sear well before flipping them over and doing the same thing to the other side. As the steak finished cooking, I re-added the onions and poured in about a half cup of red wine to make a base for the sauce. Using the wine to scrape up the browned bits on the bottom of the saute pan, I seasoned the meat with a bit of worchestershire and some Lawrey’s Seasoning Salt. The sauce reduced fairly quickly and was ready for dinner soon after. To serve this lovely sandwich, I toasted two hoagie rolls and spooned the steak/onion mixture onto half of the roll. I love cheese, so I added some shredded mozzarella cheese to my sandwich while my husband had his without cheese. The best part of this recipe is to drizzle a bit of the sauce down over the meat once it’s on the roll… I think it’s the sauce that makes this sandwich so very salty, flavorful, and deep. I hope you’ll try your own version of this sandwich sometime. Add peppers to the onions if you like – that would add some great nutrition to this meal as well as a bit of a fun twist. I used the last bits of the meat in a salad, so I can safely say that this is a recipe that you can use in most any way you can imagine. It’d be great in wraps, salads, over noodles, or just as the original sandwich… you just can’t go wrong! 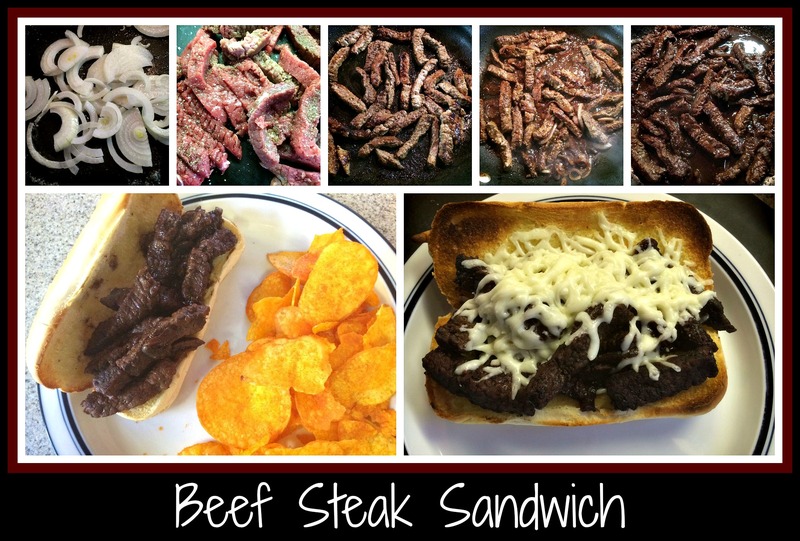 This entry was posted in Cooking, Recipe, Wine and tagged Cube Steak, dinner recipe, easy recipe, James River Cellars Rad Red, onions, red wine, sandwich, weekend meal.